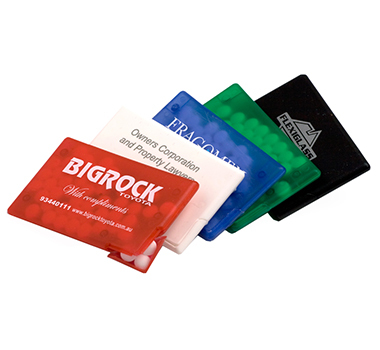 Shaped to be the same size as a credit card, these mint packs come to you featuring a style and design rarely seen in the promotional industry. Built to last, the durable exterior of these mint packs boasts a full colour sticker, perfect for any artwork. Here at BrandMe Promotional, we are happy to help so if you have any queries, please contact us! Do you have any experience with this product? Let others know what you think by giving your opinion on the features, cost, or value of this promotional product. Minimum order is the smallest quantity listed above. Sample costs of this product are refunded on placement on full order of these. Brandme Promotional only operated in Australia. If you are from out-side Australia and order a sample in error, we will refund your payment but this will incur a $10 administration fee. Standard Production Time: 7-10 working days from artwork approval - subject to print shop workload. Express Production: Most of our items can be rushed to you fast - there are many variables that increase this cost - please call us and tell us your needs. 18 grams of delicous square mints designed to break the ice! Eight delicous square mints designed to spread coolness that makes a difference. Delicous peppermint goodness for instant cool and good vibes! Instant cool and good vibes, anytime, any-where with Mentos mints! Handy mint cards that gives you the hearty feels. Toothpick inspired mint card that breathes extra freshness. Get twisting now with this fun, pocket sized, high fidget factor mint twister. Stylish flip top tin filled with 30 grams of peppermints. QR Codes storing addresses, websites (URL's) and other related contact information appear in magazines, on signs, on buses, on business cards, or on almost any object (now including many promotional gifts at Go Promotional) about which users might need information. 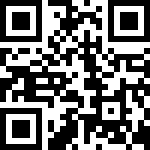 Users with a camera phone equipped with the correct QR Reading application (nearly all mobile phones in 2011 have this ability) can scan the image of the QR Code to display text, contact information, connect to a wireless network, or open a web page in the smart phone's browser. This act of linking from physical world objects is termed hard linking or object hyperlinking. QR Codes may also be linked to a location to track where a code has been scanned. Either the application that scans the QR Code retrieves the geo information by using GPS and cell tower triangulation (aGPS) or the URL encoded in the QR Code itself is associated with a location. You do not need to have a QR code to have them printed on your promotional gifts. Go Promotional has the ability to create you, your very own company QR code free of charge, with the purchase of any of our promotional gifts that are labeled as "QR Friendly".